Here we have a 3-bit DAC which is current buffered (can drive pretty beefy loads) and also adjustable via the potentiometer sitting right before the power opamp used as the current buffer. 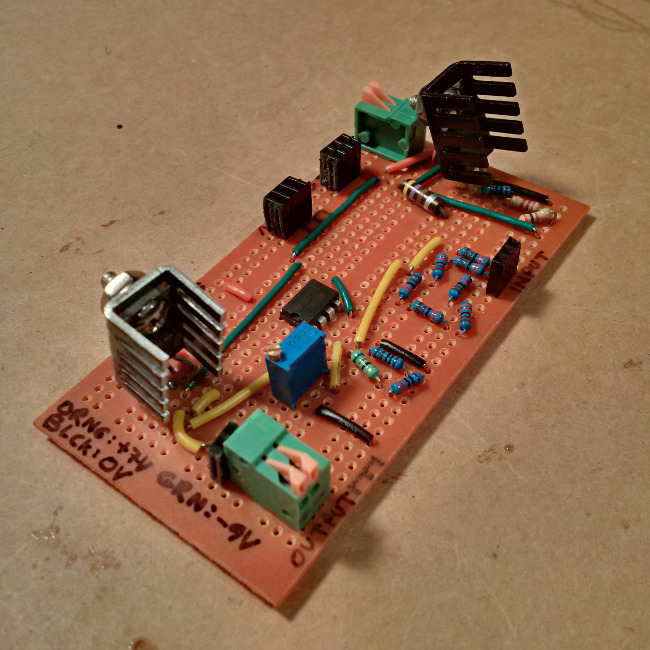 The DAC is built using binary weighted resistors and an LM358 opamp. 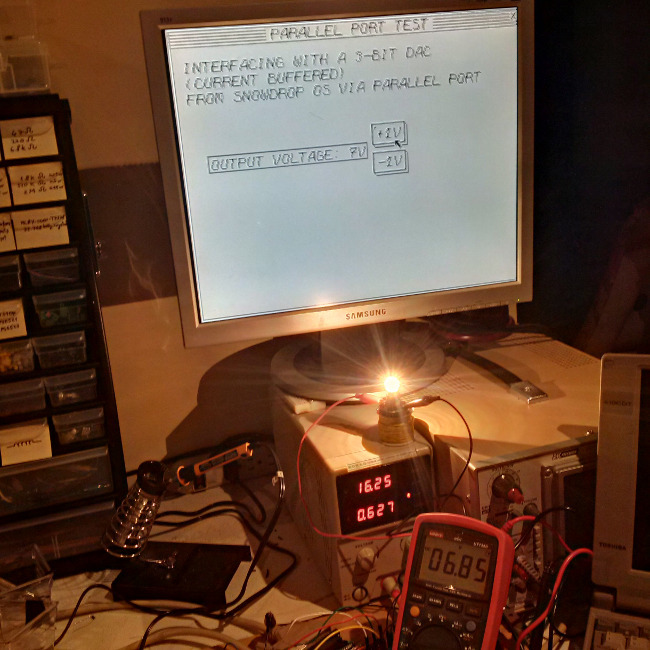 This provides a reference for the Siemens TCA365 power opamp, through the potentiometer. The TCA365 is beefy enough to provide high current. A LM317 adjustable voltage regulator is used to provide a 0V level, around midpoint between the +7V and -9V levels also available in the circuit. 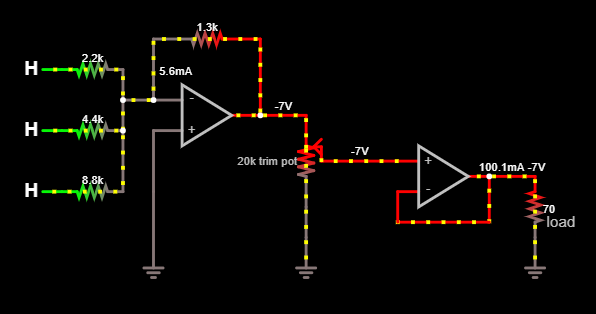 This DAC is intended to provide between 0V and 7V. The potentiometer can reduce each digital step from 1V down to about 100mV. 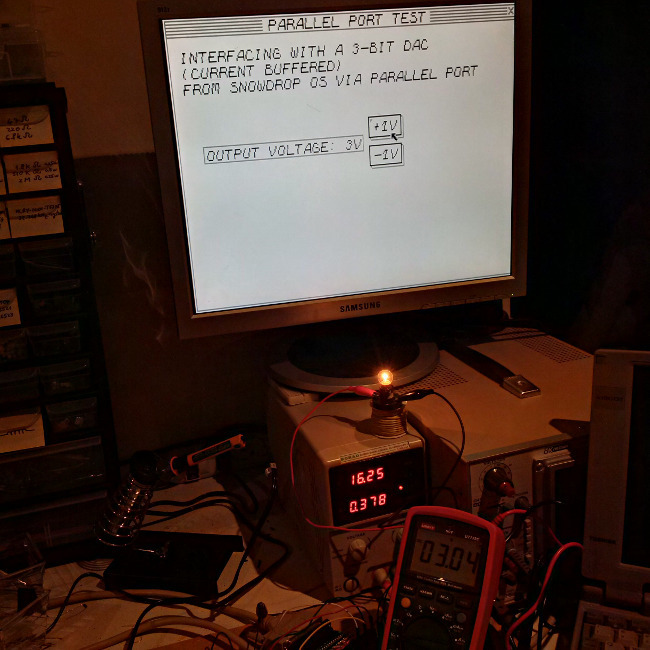 The digital inputs are connected to my CMOS buffer board, which is connected to my parallel port isolation board. Everything is driven via a Snowdrop OS BASIC program. My OS now turns on lights at varying degrees of intensity!